We are delighted to be part of a team that has developed a new virtual reality (VR) creation - The Living Coast Undersea Experience – that enables people to have the sensation of exploring the diversity of our local underwater marine environment, without having to don any dive gear or ever get wet! The Living Coast Undersea Experience is an interactive, virtual reality & 360 degree experience enabling users to explore the underwater environment of our very own Marine Conservation Zone (MCZ) of ‘Beachy Head West’. The MCZ runs eastwards from Brighton Marina along the Undercliff path to Newhaven and then Beachy Head by Eastbourne, and is home to one of the best examples of a chalk reef in the UK with important species of plant & animal life including seahorses. The Experience aims to open up access to this unique marine environment for all, raising awareness of the rich marine environment on our doorstep and acting as a powerful kinaesthetic and educational experience to help people understand the things that we can all do to help conserve it. The Experience launches at the weekend of 4-7th October at The Old Market in Hove, as part of the vrLAB of the Brighton Digital Festival 2018 from whom you can book tickets. Take a look at the video snippet below for a taster of what’s on offer! This presentation is a first look at the Experience to test it out, from which we welcome users’ feedback to inform its further development. We then plan a an initial four-date pilot tour locally within The Living Coast next year, followed by a more extensive tour in 2019 to schools and community venues here and beyond – please get in touch if you have suggestions for potential venues. The Living Coast Undersea Experience VR from Simon Wilkinson on Vimeo. 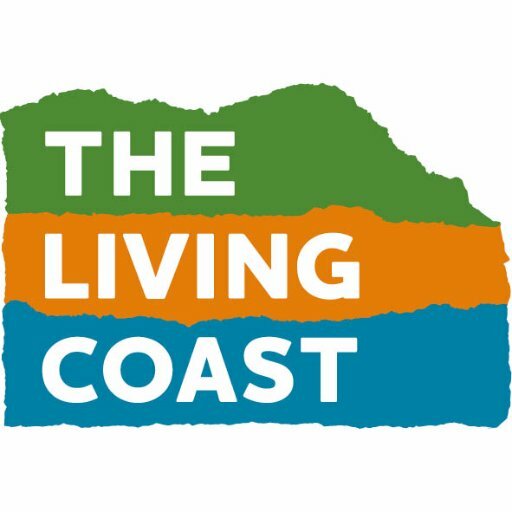 The Living Coast Undersea Experience is created by digital artist Simon Wilkinson of Circa 69 and Karen Poley of KP Projects CIC, working with The Living Coast UNESCO World Biosphere Region, Sussex Inshore Fisheries & Conservation Authority (IFCA), and the Sussex Wildlife Trust. The Experience has been supported with funding from Arts Council England, the National Marine Aquarium, the Rampion Fund managed by Sussex Community Foundation, and the Sustainable Communities Fund of the South Downs National Park Authority. Please do let us know your feed back below, thanks!